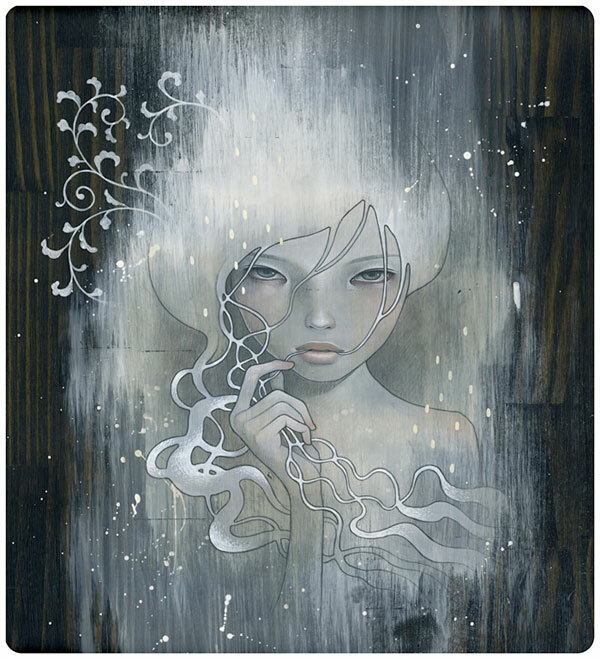 Would it be terribly bad of me to go to Rome just to see Audrey Kawasaki’s solo show at Mondo Bizarro in sept? She has just shared her latest - ‘She Who Dares’ 18x21 oil and graphite and gesso on stained wood panel, and as you know, i’m a huge fan, but now i’m even more excited to see she’s gone to a darker place with the paintings! See more close ups here… and behind the scenes pics after the jump! poo poo to ALL the haters….. This is just superb and so “sensuel”. Il love it. Congratulation Audrey. I love the japonism of your work. After seeing some more of her work, I do have to admit that I think she’s a bit of a one trick pony. She’s really good at what she does, but all the paintings are the same: naked, willowy girl looking gloomy in some semi-darkish setting. I admire her style, but I’m very curious what it’d look like if she did another subject. “painter” - to each his own - although i do find it odd that you think that “spent a day” and “charging insane amounts” are directly correlated… i think market demand and how many people love her work are why the price has risen so much. And if she can make that kind of money in what you think is a day - kudos to her! I wish i could! 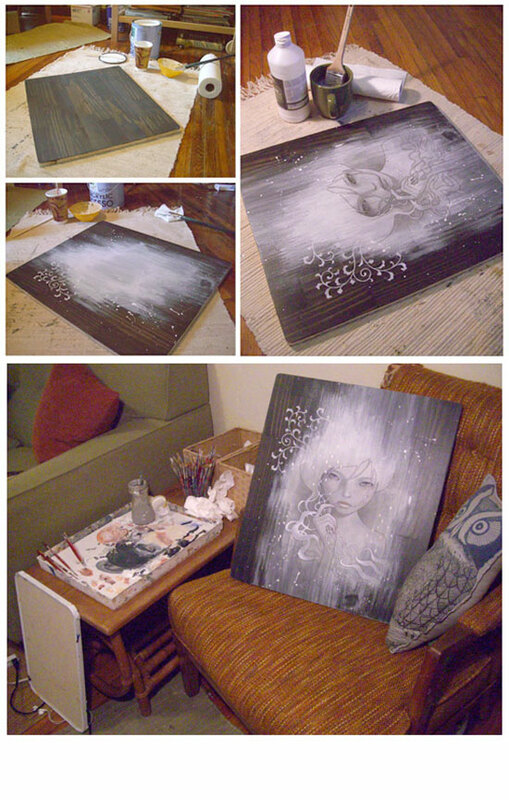 not my cup of tea, esp after knowing her techniques, she spent a day on painting then charges insane amounts for it . cheap - from her subject matter to her painterly abilities. not worth to bother !!! This is just gorgeous. I can’t imagine achieving that sort of quality on plain wood. 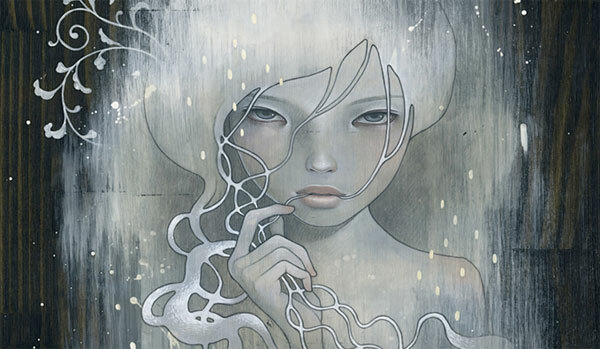 Such beautiful work… I missed her last show in SF, and there’s no word on when she’s coming back. Sad =(. Beautiful and moody, i love it, thanks for posting this, her work is stunning every time… looking forward to seeing more of this.